Music producer, remixer, and composer Matt Pendergast, is continually immersing himself in diverse recording projects. After graduating from Berklee College of Music in 2002 with a B.M. 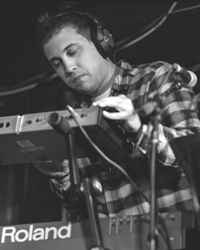 in Music Synthesis, Matt moved to New York City to work in recording studios and later spent several years at TONAL Sound, an award-winning music production company. He then returned to his native Boston where he continues to specialize in all aspects of music production and the album making process. Throughout his career, Pendergast has worked with artists spanning all genres - from performing with James Taylor to creating remix productions for Mary J. Blige, Britney Spears, Ciara, and Chris Brown. He has performed at renowned music venues such as Seiji Ozawa Hall at Tanglewood, has recorded at world-class studio facilities such as the Hit Factory (NYC), produced music content for companies such as Harmonix (RockBand), Wired Magazine, PBS, Toys R Us and Volvo, and has been a featured artist on Billboard.com. Matt has been on the WCMS faculty since 2009.